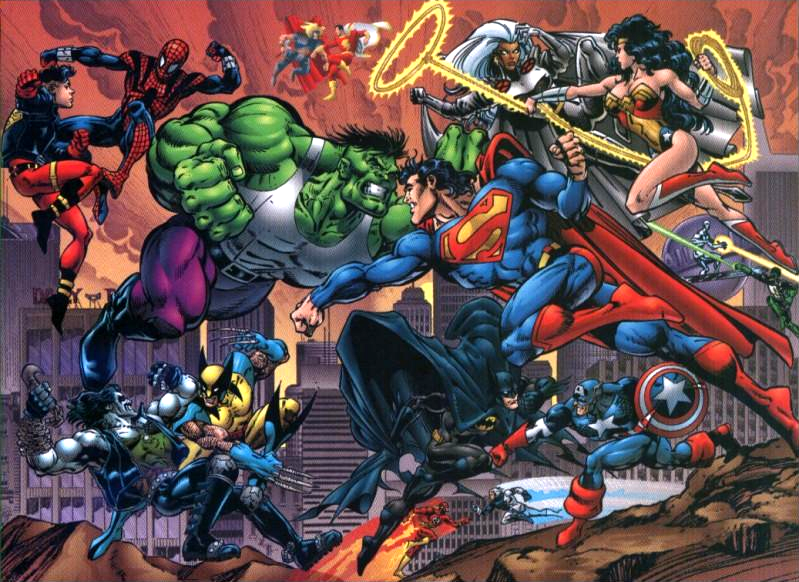 Mainly for the classic characters from DC and Marvel the mainstream comics section here to celebrate the pioneers of the comic book industry which have survived dozens of incarnations and imminent apocalypses’. Although the line between indie comics and mainstream comics is fairly thin with so many new comic book publishers coming up at the moment but we hope to give them all a fair looking over. Soon we will be featuring some reviews of a few real classics from the Dark Knight and Superman. 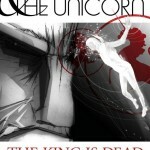 A review of The Lion and the Unicorn by Ash Pure. It’s an innovative use of digital artwork for a digital age. The story is set in a futuristic ancient kingdom and looks amazing. 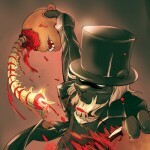 Subversive comics does it again with Metal, the third in the Metal Made Flesh series. 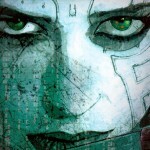 Izobel a seductive cyborg assassin. What else could you need in a girl. With Free Comic Book Day round the coming up on the first Saturday of May here is a preview of Worlds of Aspen 2014. Including two previews of upcoming series Damsels in Excess and The Zoohunters. 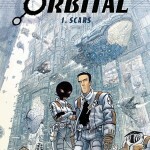 A review of Orbital by Sylvain Runberg and Serge Pelle. Translated and published in English by Cinebooks. 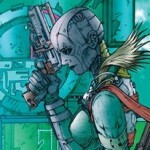 A fresh new Sci-fi from France. 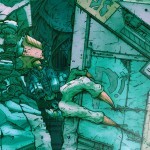 The second issue of the cyberpunk science fiction series Metal Made Flesh has just been released and thanks to that kick starter it’s back with more artwork and a longer story. 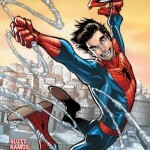 Marvel are hitting the reset button on Amazing Spider-man in April 2014 and bringing Peter Parker back from the dead. 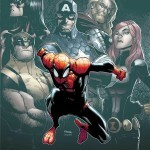 A whole new Marvel Now series is going to be in stores in time for the movie. 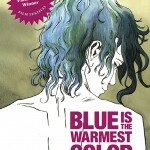 Blue is the Warmest colour is dividing movie critics but it all started with this award winning French Graphic Novel. 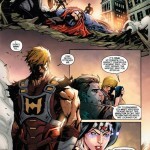 For any old school He-Man fans DC have released a six issue mini series where the Justice League face off against the heroes of Eternia in DC vs Masters of the Universe. The long awaited Metal Made Flesh comic finally has the green light for the next two issues thanks to Kick Starter. 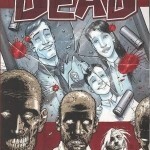 The series five years in the making is one of the most creative science fictions comics to come out of the UK. The second epic volume of Superior Spider-man and we say goodbye to Peter Parker for one last time while Doctor Octavius meets the Avengers. Fresh off the press one of the best indie comics in England at the moment. 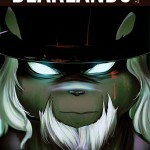 Bearlands #3 continues a story about a lone bear fighting his way accross an apocolyptic zombie infested nightmare world of terror and teddy bears. 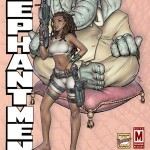 Nearing the 50th issue of Image comics Elephantmen we have volume 6 Earthly Desires by Richard Starkings. 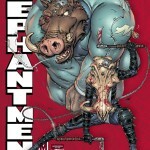 A review of Elephantmen volume 5 – Devilish Functions by Richard Starkings. It’s redefining the Sci-fi genre with some relatable mutant monsters of war. Free comic book day 2013 is on May 4th and has some amazing comics listed in both the Gold and Silver selections. 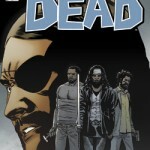 This year they have included books like Dragon Ball and the Walking Dead. 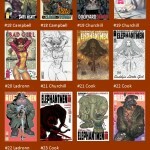 With Diamond publishing the top 100 Graphic Novels of 2012 we have the full list and it shows just how much of an impact some of the smaller publishers made on sales last year. 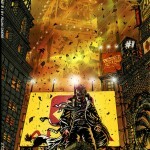 Prisoner of the Mind is a neo-noir thriller set in the near future of New York. Combing some amazing artwork which tells a hundred stories itself Allan Linder’s book is a must read for comic fans.